but hopefully, I will help the flowers grow. Without the artist, there would be no collector, nor gallery………… But art is more important than the artist, and everyone can make art it is no big deal. Long live creativity, the creative spirit that give humanity hope, empowers, transforms, inspires and feeds its self on love and peace. 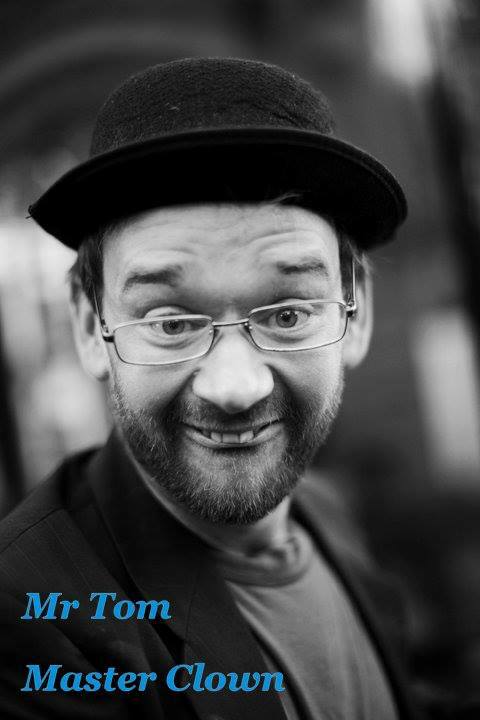 Tom Campbell is an artist and performer born in Dumfries South west Scotland but now resident in Cork city for over 10 years. He has lived in France Spain and Italy and intends to travel to south America in the future. He is a prolific drawer and studied sculpture. 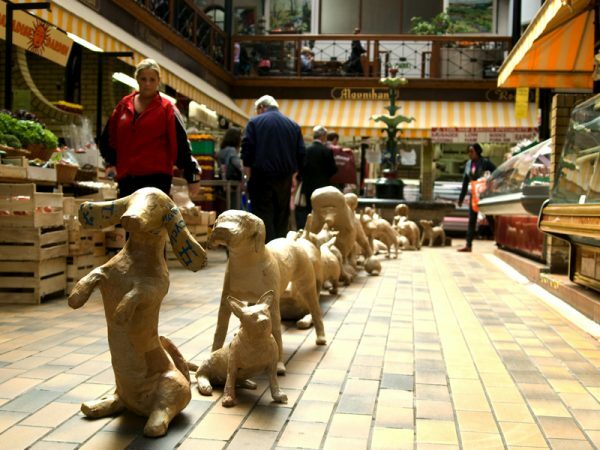 Tom has a special interest in Papier Mache and was the instigator of the Dog project which was a project that has facilitated the making of over 300 life sized papier-mâché dogs. He has an interest in Community arts and has worked with children, teenagers and special needs, Tom hopes to do more Community art. His work has been collected nationally and Internationally , Including with the office of public works and Crawford Art gallery. Tom also works as a clown both on the streets and doing one man shows, his circus skills include unicycle, walking on hands, juggling.